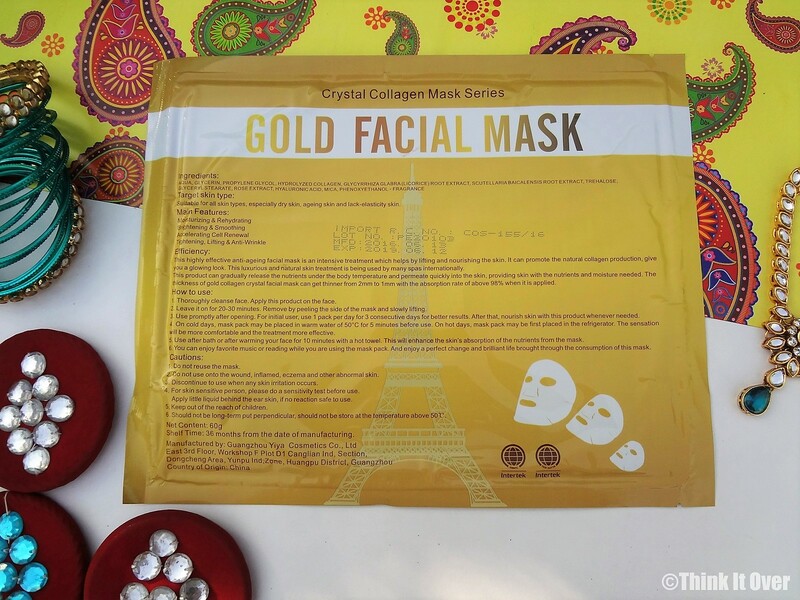 This sheet mask is meant for endowing the restoring the youthful appearance. 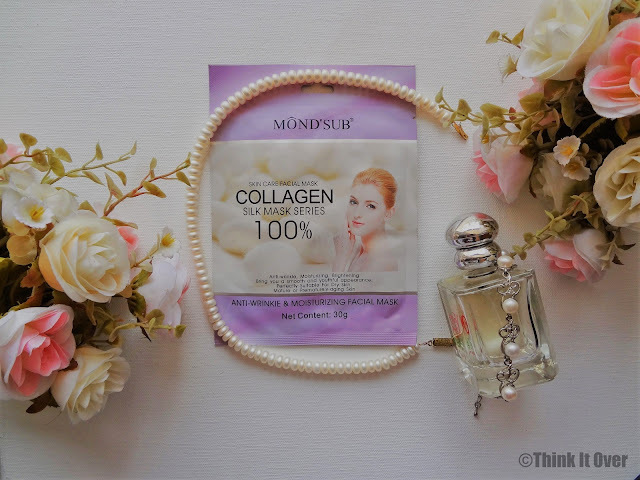 Ideally, it is suited for dry skin, mature or prematurely-aging skin. For the ladies nearing their early 30s, the main reason for developing immature wrinkles and fine lines, is the lack of elasticity within the skin. This can be bought back by locking in moisture. 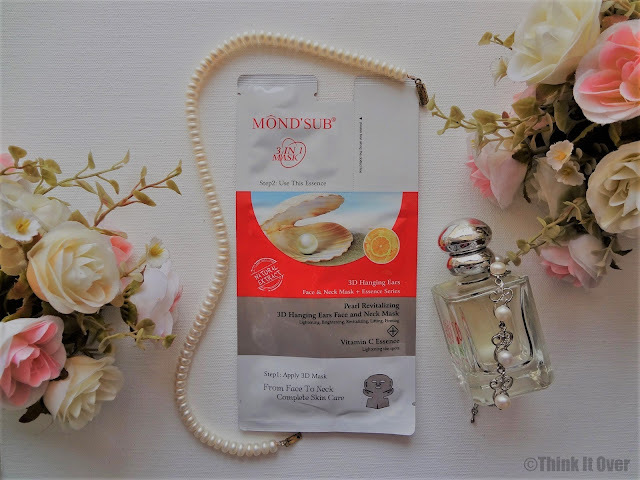 The sheet mask is safely kept inside two additional layers of film that safeguards the formulation to remain intact within the sheet mask for full effects. It is made with varying plant extracted essences and promotes skin’s metabolism; balancing nutrients within the skin as well as water content. 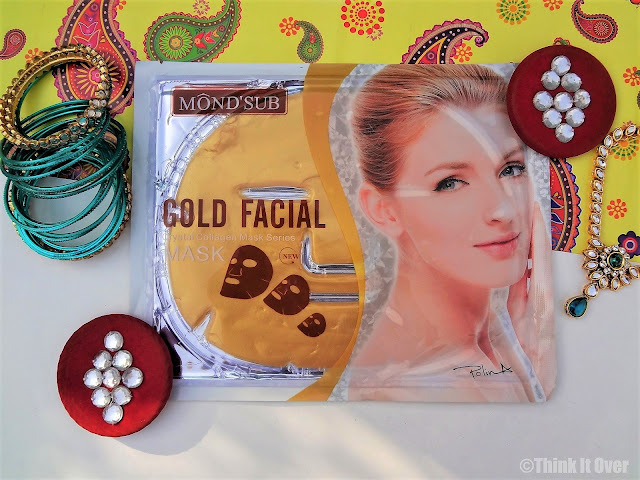 Dedicatedly works this sheet mask for replenishing the skin so that it looks young, bouncy and radiant with healthy glow. Onto me, it gave an immediate soft smooth skin and this won't be an exaggeration at all if I say I kept on touching my face again and again! :p The effect seems equal to one you derive post facial session. Even on the second day my skin had subtle charm. Ingredients: Water, Glycerine, Propylene Glycol, Hyaluronic Acid, Micromolecule Fish Collagen, Cherry Extract, Rose Oil, Seaweed Extract, Hydroxyethyl Cellulose, Coenzyme Q10, Ceramide, Arbutin, PEG-40 Hydrogenated Castor Oil, Fragrance. As the name unveils, this is a 3 in 1 mask which not only caters to your facial needs but also looks out for the neglected nearby parts such as ears and neck. The basic of makeup says that your face colour ought to match your neck. We tend to sync colors for both via foundation but then when it comes to skincare, all the focus is taken by face. Have you heard that saying – “If the pigeon can see the cat, even upon pigeon’s shutting of the eyes, the cat can still see the pigeon”. So if you can see neck and ears of others, there’s definitely a need pay heed to them as well! This sheet mask is meant for lightening, brightening, revitalizing, lifting & firming. It works effectively for anti-ageing and brightening up the skin, vanishing any sort of dullness. 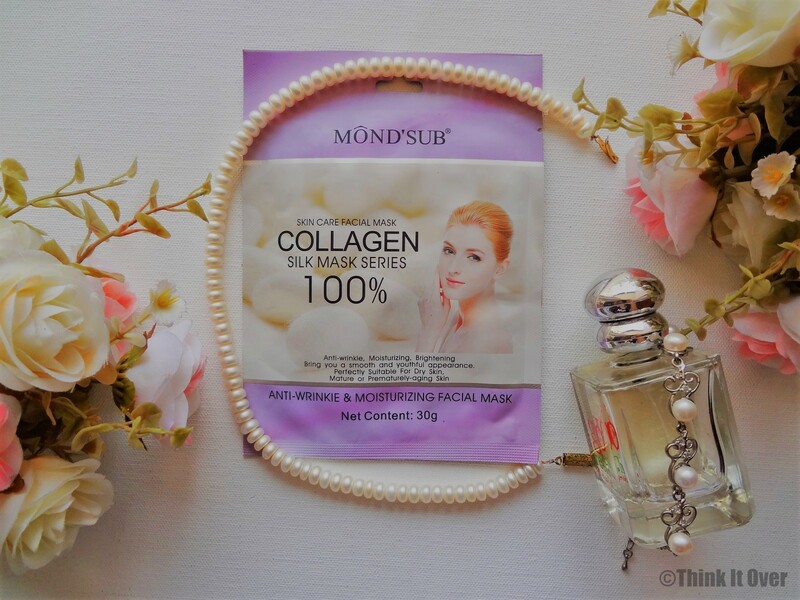 The pearl extracts within and rich minerals, efficiently hydrates the skin and lightens any spot/ pigmentation. Ingredients: Aqua, Glycerin , Propylene Glycol, Lactobacillus, Collagen, Tremella Fuciformis Extract, Cladosiphon Okamuranus Extract, Hydrolyzed Pearl, Hyaluronic Acid, Allantoin, Disodium Edta, Carbomer, Triethanolamine, Phenoxythanol, Fragrance. 💡Tip of the Day: If you have super oily skin, befool your facial dermis by applying some gel moisturizer so that the skin feels no need for producing oil on its own! · Tightening, lifting & anti-wrinkle. Ingredients: Aqua, Glycerin , Propylene Glycol, Hydrolized Collagen, Glycyrrhiza Glabra (Licorice) Root Extract, Scutellaria Baicalensis Root Extract, Trehalose, Glyceryl Stearate, Roset Extract, Hyaluronic Acid, Mica, Phenoxythanol, Fragrance. Efficiency: This highly effective anti-ageing facial mask is an intensive treatment which helps by lifting and nourishing the skin. Final Verdict: Even on having an oily skin, not always do I wish to deprive my skin of its moisture. Almost a lot of the products upon which I’ve invested do extract away sebum. But then sometimes you do want your skin to go extra smooth and soft. 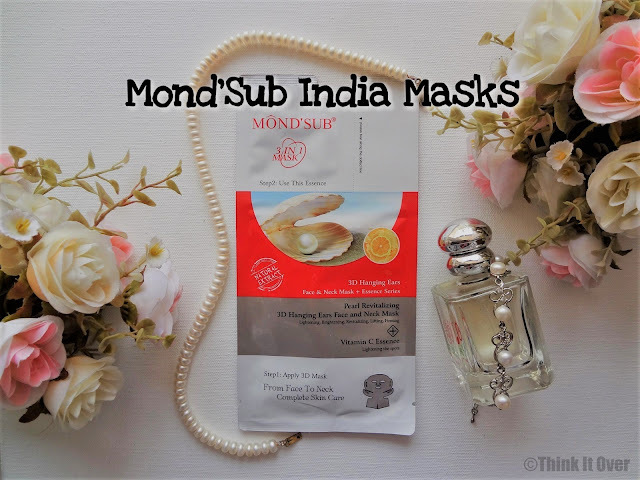 These Mond’Sub India masks I’ve intentionally retailed for such days when I feel the need to eradicate any flakiness and enhance my skin’s smoothness. I am in love with these, especially the gold one as it gives that exotic vibes! You can buy yours from HERE! Getting a feeling that I am going to love this.